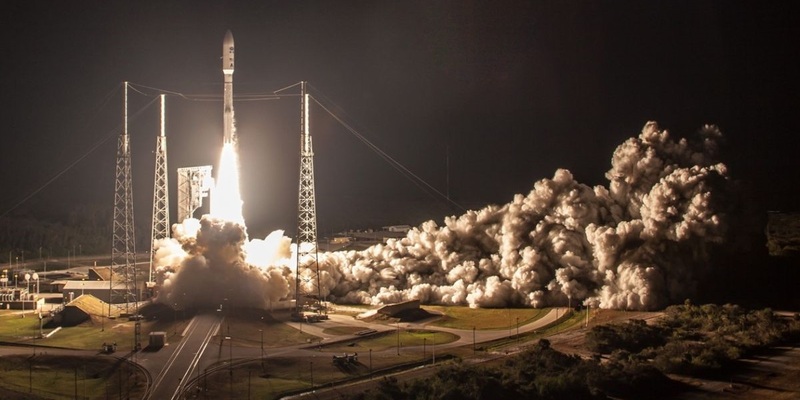 A United Launch Alliance Atlas V rocket will launch the GOES-S weather satellite for NASA and the National Oceanic and Atmospheric Administration as the second in an upgraded generation of Geostationary Meteorological Satellites, delivering critical data for weather now- and forecasting. Built by Lockheed Martin, the 5,200-Kilogram satellite hosts the Advanced Baseline Imager capturing 16-channel imaging and atmospheric sounding data, a Lightning Mapper, space environment sensors and solar instruments – delivering all necessary parameters for terrestrial and space weather assessments. Two active GOES satellites are required for coverage of the entire contiguous United States and the Atlantic and Pacific Regions of interest for U.S. weather forecasting.